It is an enhanced version of EXT:rx_unrollsavebuttons with more functionality, like reordering the buttons. The original extension rx_unrollsavebuttons became obsolete and Markus Klein, author of this extension, joined development of EXT:unroll. You can fetch EXT:unroll by adding "instituteweb/unroll" as dependency to your root composer.json. Or you can fetch and install it from TER. This extension is compatible with all TYPO3 versions since 7.6 LTS, which introduced the button dropdowns of the Bootstrap CSS framework. 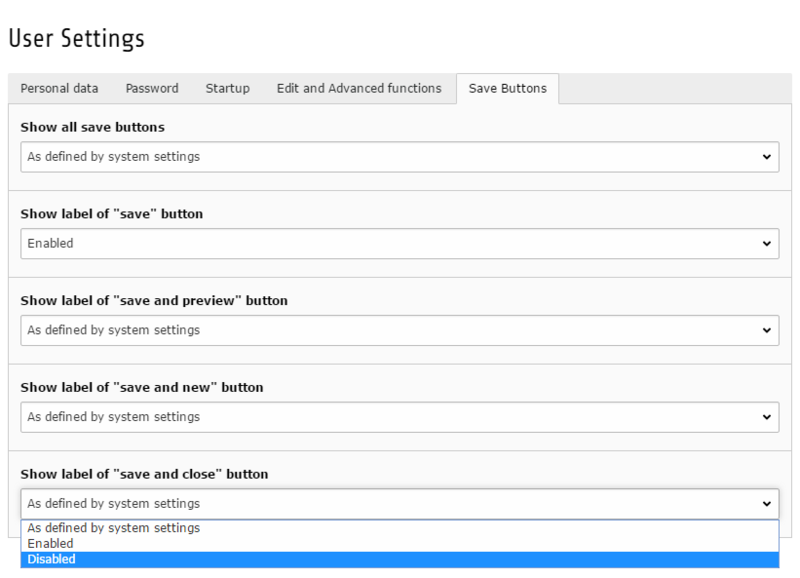 So each individual backend user can change its own preferences of how to unroll and display save buttons. Your files are automatically synced to /var/www/html/typo3conf/ext/unroll . Caution! Files are synched in both directions! Deleting files in machine will also delete them on host machine! TYPO3 path: /var/www/html/ (uses composer, you can update with composer update ).